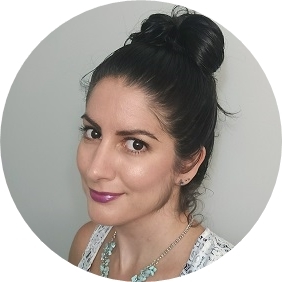 For September's challenge to myself to shop my collection, I switched things up and focused on a source rather than a specific brand. 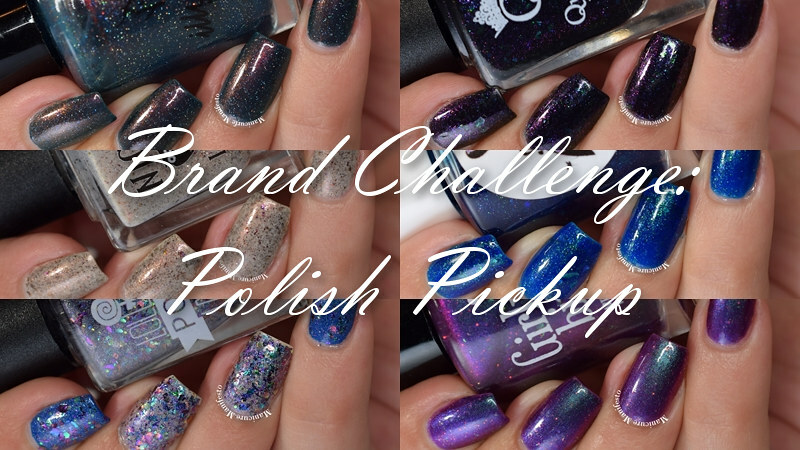 Polish Pickup does a release once a month that features a variety of indie polish brands selling polishes inspired by a common theme. 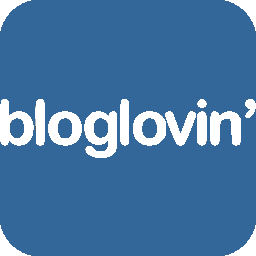 Let's take look at some of the shades I've purchased from PPU this year. 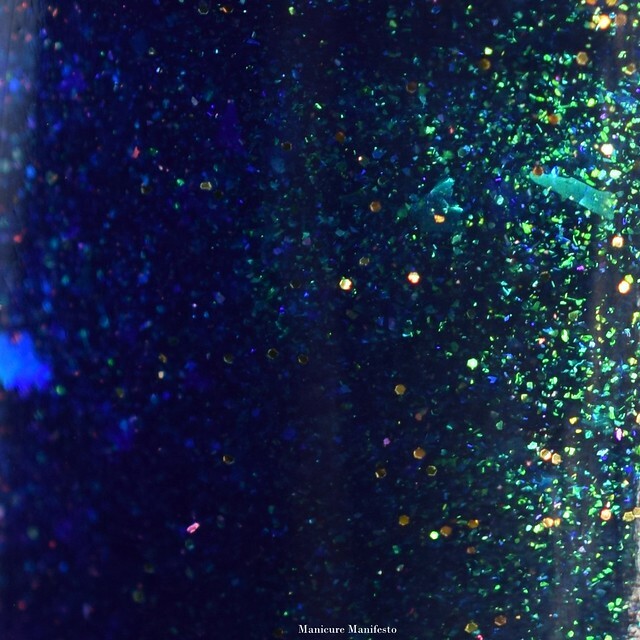 Illyrian Polish Narrow Sea features a deep teal leaning green base with red to gold to green shifting shimmer and tiny silver holo glitters. The formula was easy to work with taking three coats for full coverage. 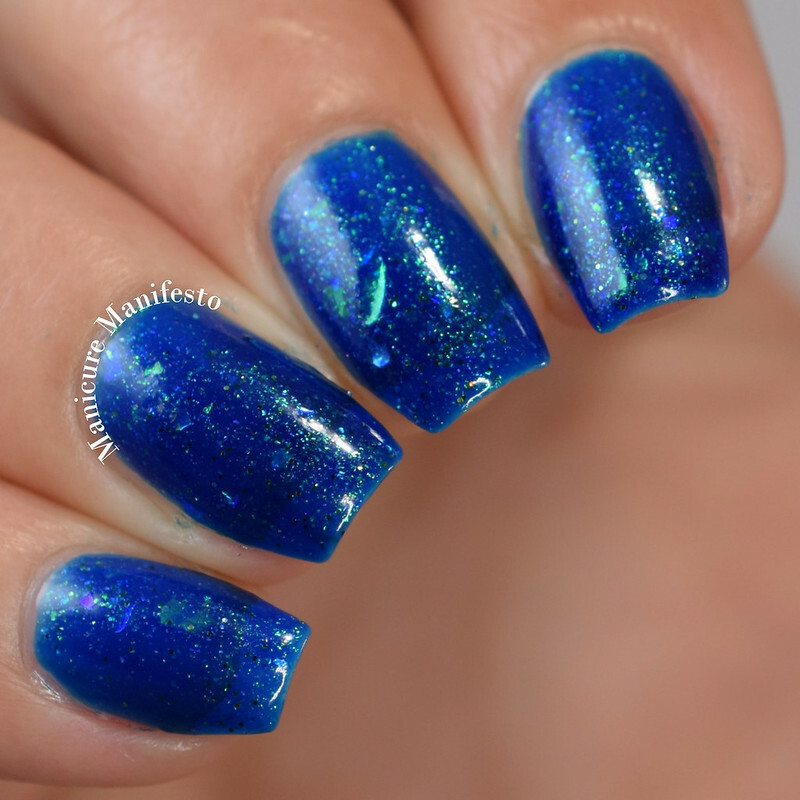 Photos show three coats of Narrow Sea with one coat of Girly Bits Cosmetics Glitter Glaze top coat in daylight spectrum lighting. 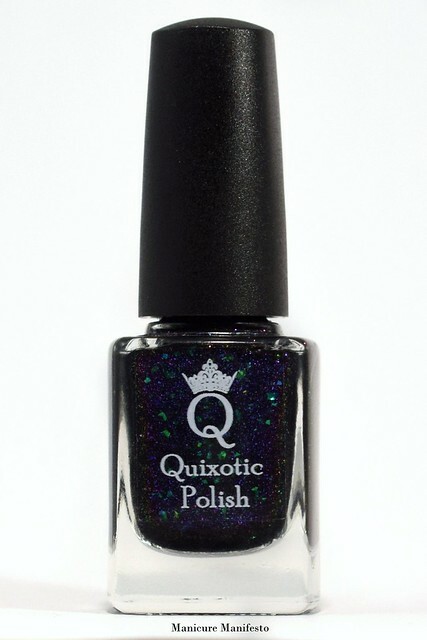 Quixotic Polish To The Moon And Back features a blackened jelly base filled with blue to purple shifting flecked shimmer and green metallic flakies. The formula was easy to work with taking three coats for full coverage. This dries relatively smoothly though I did get the occasional flakie divot so top coat will get you that perfectly smooth finish. 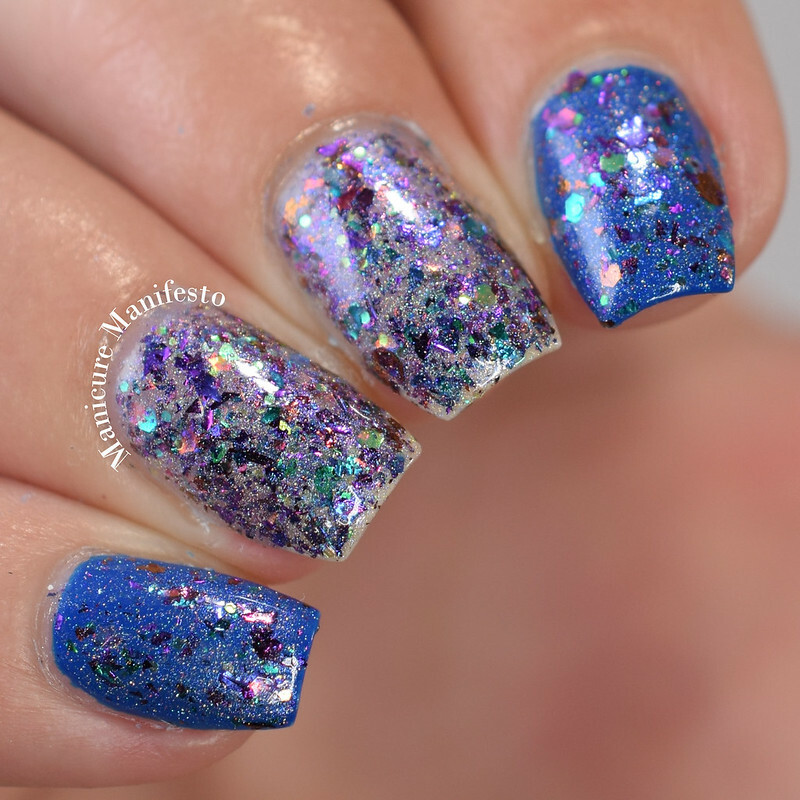 Photos show three coats of To The Moon And Back with one coat of Girly Bits Cosmetics Glitter Glaze top coat in daylight spectrum lighting. 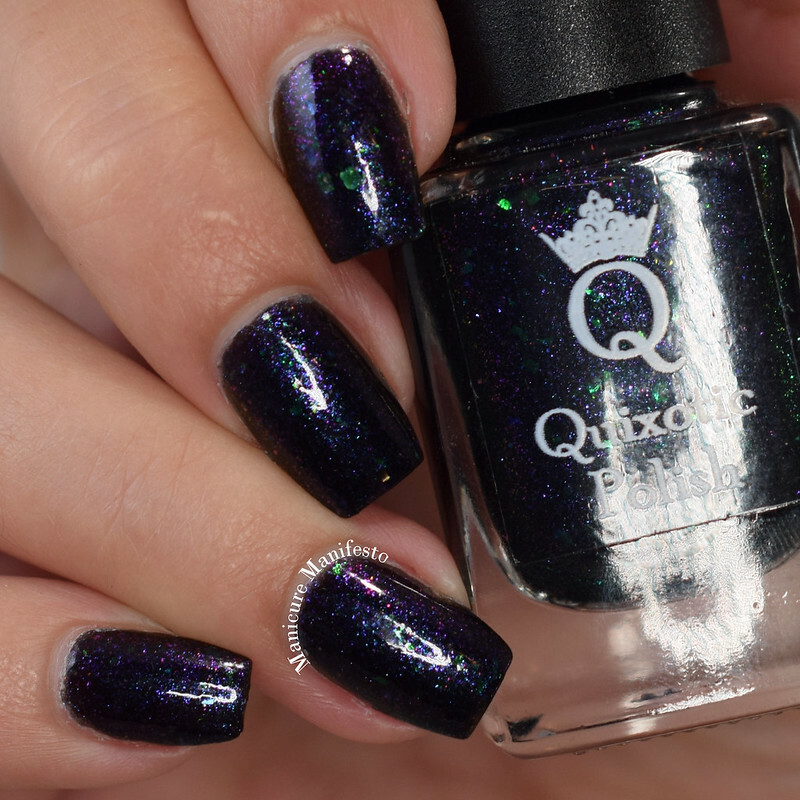 Night Owl Lacquer You Heard About Pluto? 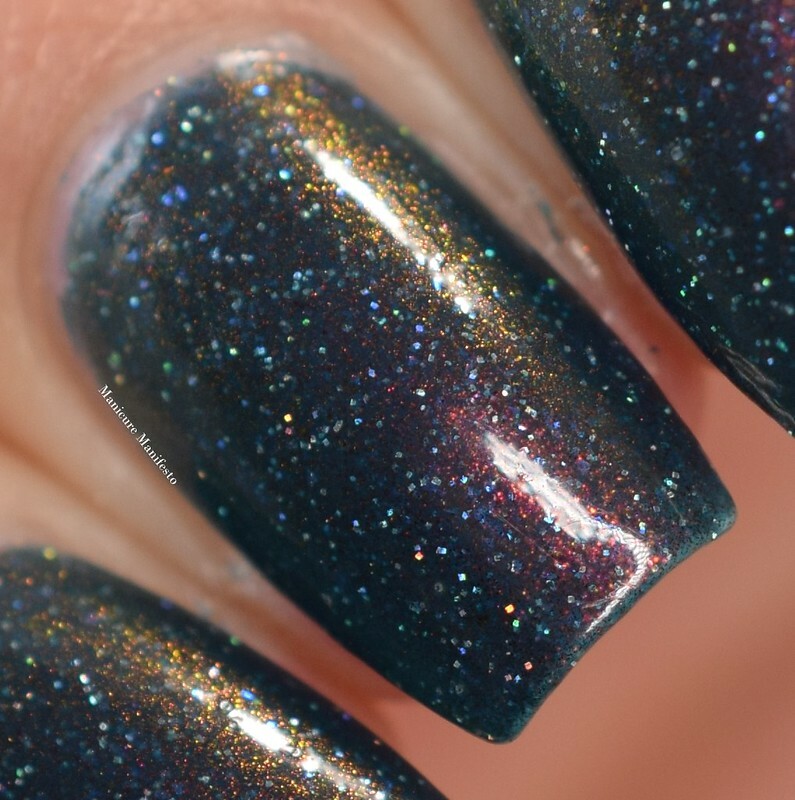 Night Owl Lacquer You Heard About Pluto? 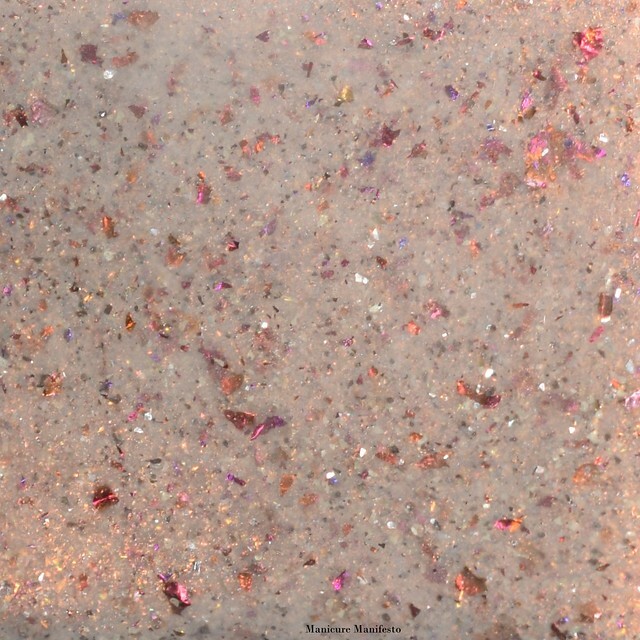 features a taupe beige crelly base filled with copper to red shifting shimmer and small metallic flakes in shades of copper, red and purple. The formula was easy to work with taking three coats for full coverage. However, it was so close after two that those with shorter nails or a less distinct nail line than me will likely find two is enough. 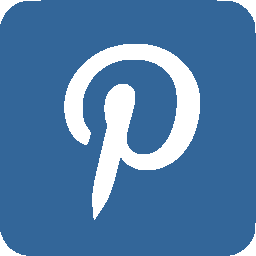 Photos show three coats of You Heard About Pluto? 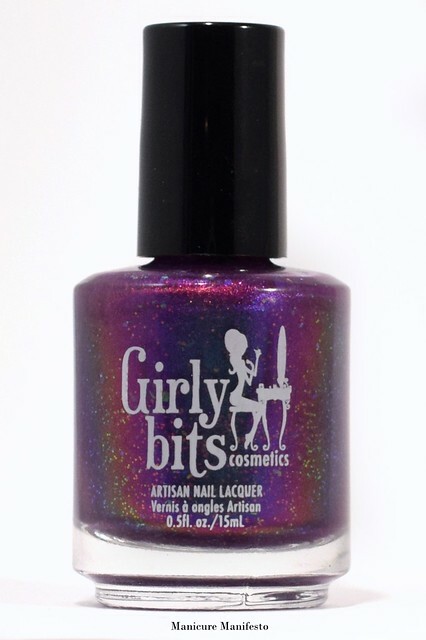 with one coat of Girly Bits Cosmetics Glitter Glaze top coat in daylight spectrum lighting. 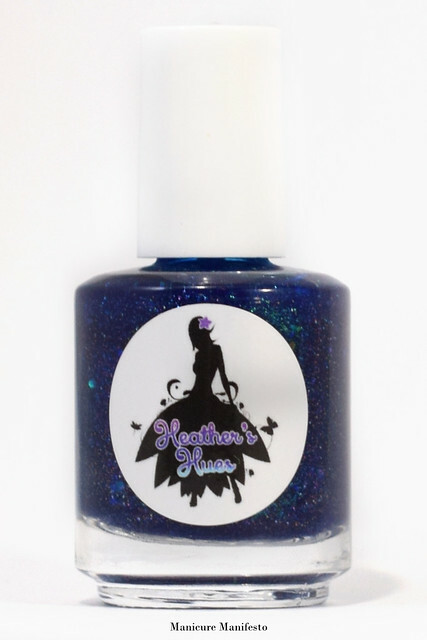 Heather's Hues The Deepest Kind Of Love is a cobalt blue jelly filled with green flecked shimmer, tiny gold flecks and a sprinkling of green metallic flakes. The formula was easy to work with taking three coats for almost full coverage. I say almost full because in shaded lighting it looked opaque but in bright lighting my nail lines still showed through a little bit. This dried quite smooth and shiny on its own but I added top coat out of habit. 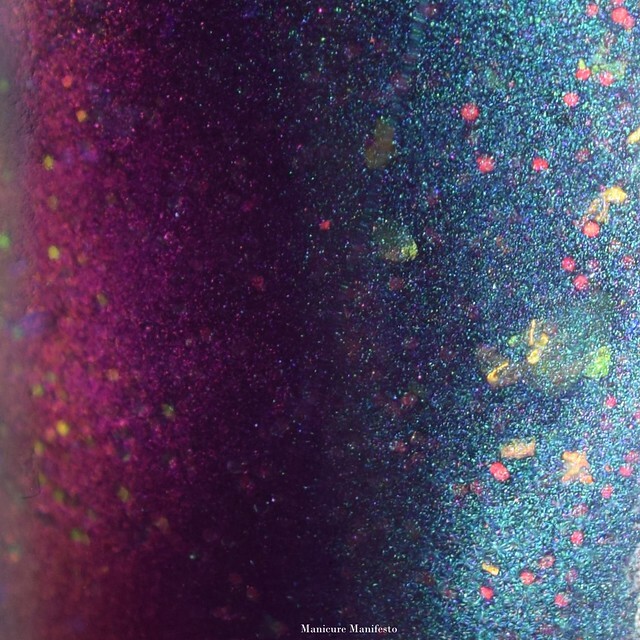 Photos show three coats of The Deepest Kind Of Love with one coat of Sephora X Shine XCEL top coat in daylight spectrum lighting. 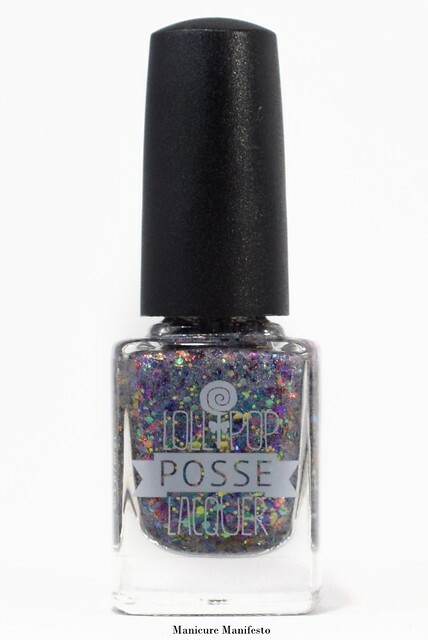 Lollipop Posse Lacquer Call My Baby Lollipop features a clear base filled with fine silver holo shimmer, metallic flakies in shades of blue, green, fuchsia and gold and a few sizes of gold and iridescent glitters. 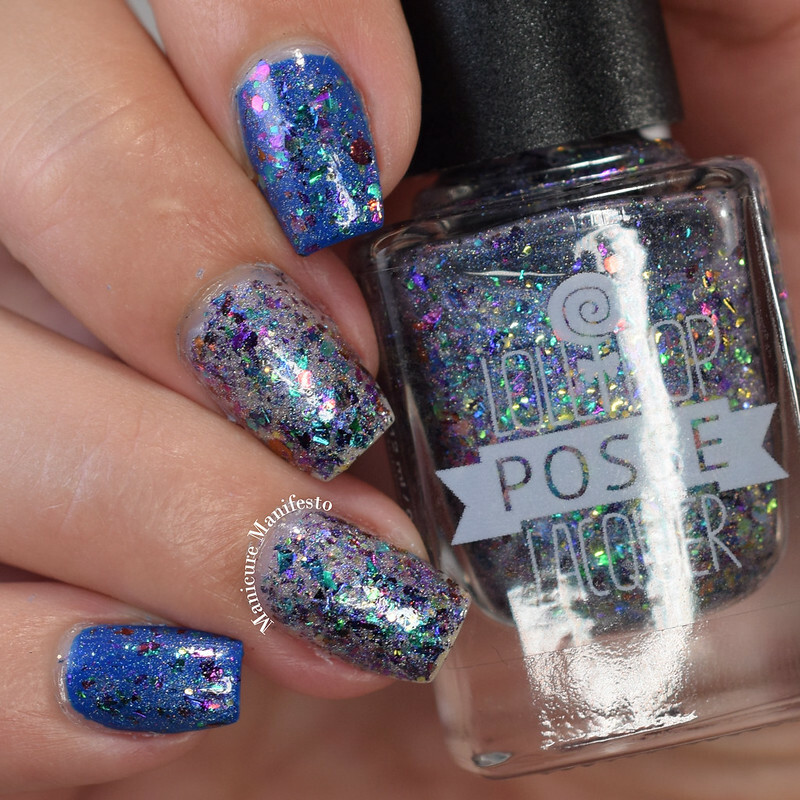 I used this as a topper on my index and pinky fingers and as a full coverage polish on my middle and fourth fingers. As a topper the formula was easy to work with. 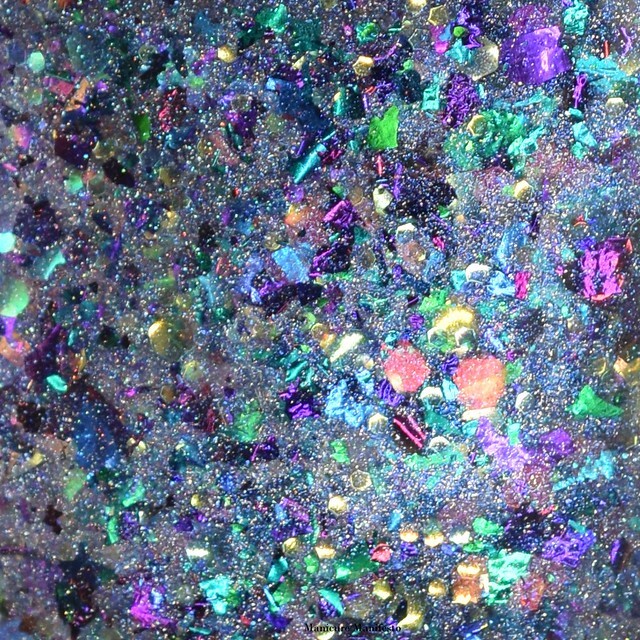 As a full coverage polish I did have to do a little bit of dabbing here and there to get good coverage, but overall, still easy for a full coverage glitter. I was also pleasantly surprised that the full coverage nails only needed one coat of top coat to smooth everything out. Photos show one coat of Call My Baby Lollipop over Zoya Mallory on my index and pink and three coats alone on my middle and fourth fingers, all with one coat of Sephora X Shine XCEL top coat in daylight spectrum lighting. 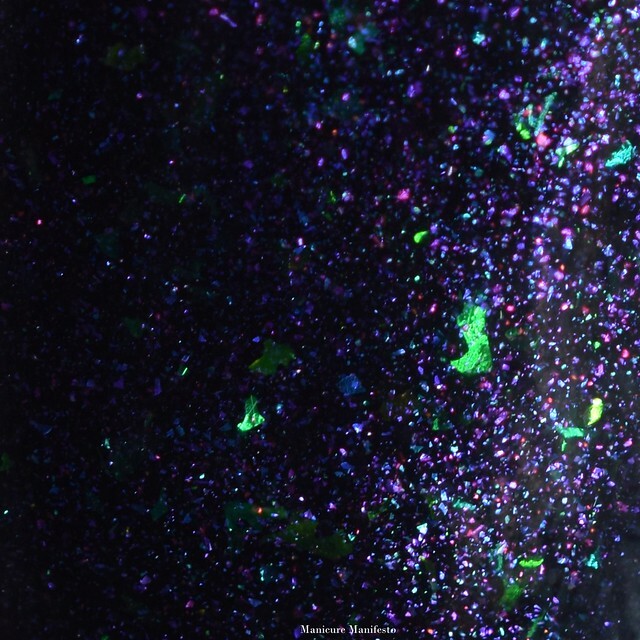 Girly Bits Cosmetics Law Of Attraction is a fuchsia to purple to teal multichrome with copper to green and green to purple shifting metallic flakes and a sprinkling on tiny iridescent glitters.The formula was easy to work and took three coats for full coverage. This dries down to a satin finish so you'll need to add top coat for shine. 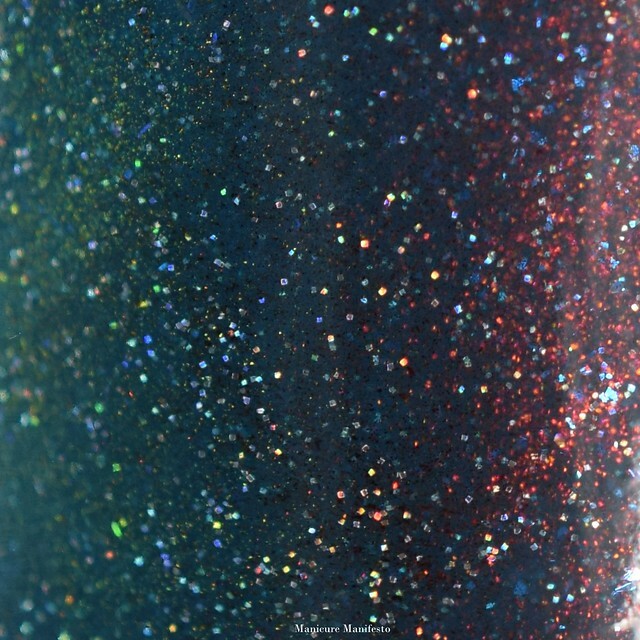 I also found that top coat just brought the shifty base and flakies together. 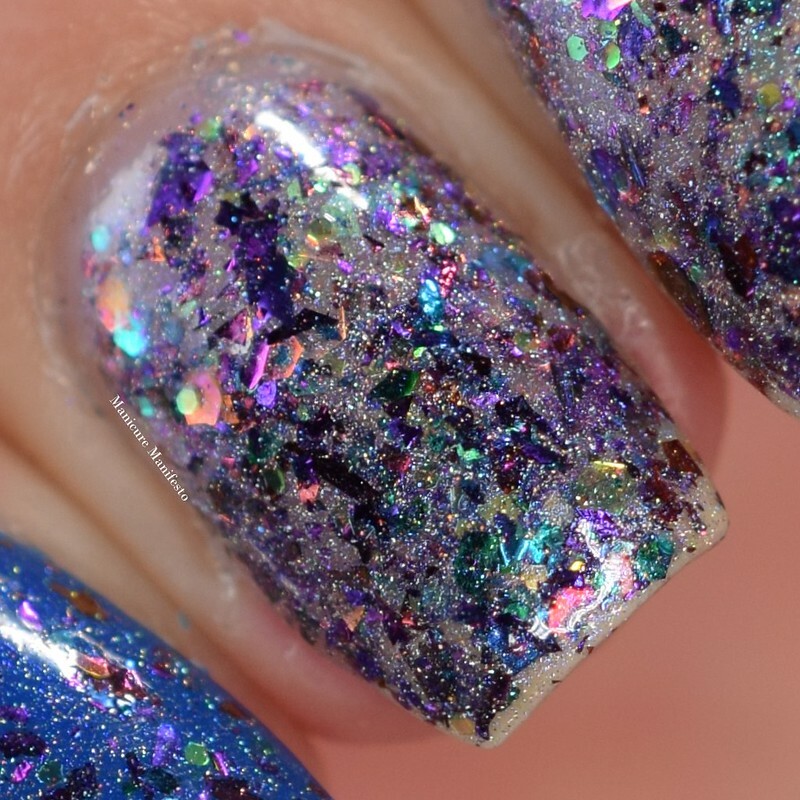 Photos show three coats of Law Of Attraction with one coat of Sephora X Shine XCEL top coat in daylight spectrum lighting.